University of Chicago Stamps Scholar alumnus Wesley Kelly plans to use his background in computer science to work for a company where he can make a difference in the world. Kelly was born in Logan, Utah, and moved to Kimberly, Idaho, where he attended Kimberly High School. He actually did not take any computer science classes until college but “did everything in high school,” ranging from track and cross-country to student government to quiz bowl, competitive speech and debate. He spent the summer after his senior year working as a biological science aid for the United States Department of Agriculture (USDA). 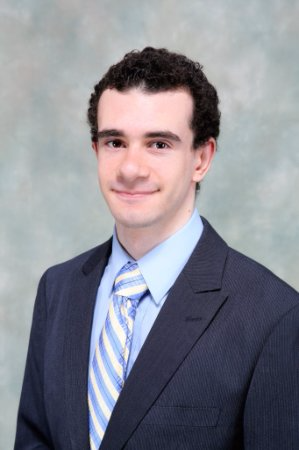 In 2013, he entered the University of Chicago as an economics major and interned at the Becker Friedman Institute for Research in Economics, where he helped find potential donors to ensure funding for the institute’s research and helped visiting economics scholars. After a year off at Utah State University, he decided to switch his major to computer science. He also continued working for the USDA, contributing to research that allowed scientists to find optimal strategies for irrigation and crop rotation and monitoring water samples to help farmers maintain acceptable levels of runoff and chemical pollution. Last summer, he used his enrichment fund to take an online computer science course related to machine learning with a friend. For fun, he also made a mixtape under his rapper name One Wes. Although he produced it all on his own, he had his friends decide on what they thought were the best takes and added beats and effects. At the university, he worked as a grader for a computer architecture course, a new class that did not have grading scripts for projects. He created scripts that compared what students submitted to the reference stimulator, the correct way the programs should work. He enjoyed the opportunity, and challenge, of learning Bash, an older programming language. In summer 2017, he was back in his Idaho hometown working as a software developer for Progressive Publishing, which distributes agriculture-related magazines across North America. Kelly built an interactive sales website from the ground up and developed a rich user experience that allowed clients to navigate complex advertising options. He liked being able to give back to the area where he grew up.